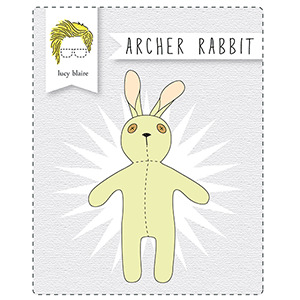 Archer Rabbit is a quick and fun PDF sewing pattern that is perfectly adorable as is but also makes a great base to explore your own creativity. Show off your hand sewing skills to embellish his body or come up with fun little outfits for him that the little ones in your life with enjoy for years to come! 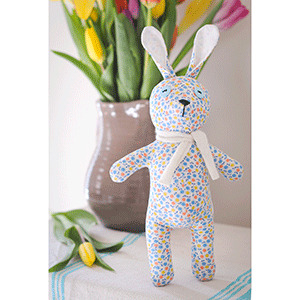 Pair with a handmade blanket and Archer makes the perfect heirloom baby gift! 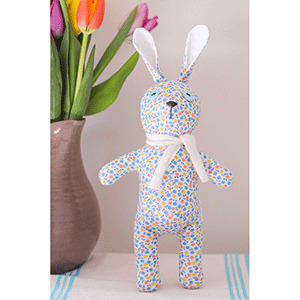 Finished rabbit is approximately 13” tall including ears.